2. Initially, as soon as BungeeCord is updated for 1.14, I will add a protocol "hack" plugin that allows 1.14 clients to join while the server still is 1.13.2. 3. After I manage to find updates for most of the plugins if not all, I will update the server to 1.14 as well. This is at least ~1 month in my opinion. We have three Plants vs Zombies servers set up. The servers are for one player each. You will need MC 1.13.2 to connect, and you will need to accept the custom resourcepack or it won't work right. Almost everything is discounted by 40% on the Survival premium shop!!! General Announcements / Please consider becoming a Patron! You can really help SFT and ensure it stays alive for as little as $5 / mo and get awesome rewards and much better deals than anywhere else on SFT. You also have access to a patreon only channel that allows you direct access to the Ownership team and any of your ideas/suggestions will be given more weight! Please consider becoming a patron! The Nether and The End were reset. In addition to that, I've updated mcMMO with a few bugfixes. General Announcements / Looking for a VPN? If you are looking for a VPN that is fast, secure, reliable and can be used for streaming sites, look no further! NOTE: This is an affiliate campaign. The proceeds from this campaign will be used to pay bills on SFT! VoteParty will now drop more Rare Crates - I have increased the chance of receiving a Rare SteveCo crate in voteparty by 50% compared to what it was. Sadly, Article 13 has passed. What this means - I, and specifically myself (as I own the domain superfuntime.org) am solely responsible for anything anyone uploads from now on. And responsible as in legally. I can literally go to jail for some random user uploading a pirated movie/music video on our forums. Now, obviously, this will affect small business owners and small communities like us the most, as in order to comply, you have to spend thousands of dollars developing a "Content filter" that will scan every uploaded file and check whether it is copyrighted or not. What does this mean for SFT? - I don't know how this affects us currently. The website was recently moved to Canada, so we are no longer hosted in the european union, but apparently, as long as it is accesible by EU users, it is still my responsibility. - Disable any file uploads and embeds (this means no more image embeds, no more forum signatures, no more nothing. Until this is clarified and we decide which path to choose (probably the second), please be aware that uploading any sort of copyrighted content on SFT forums is now against the rules and punishable by 1st time: revoking your posting privileges and 2nd time: a forum ban. This includes embeds of youtube videos of music/movies/etc. NOTE: This applies for the forums/website/on the game servers. This does not apply to Discord. Thank you @MasterX70 for suggesting that! The 1.7.10 Pack General Discussion / Congrats for recent progress! @xQuicScopex✪ @blalp @AtomicPulse - Congrats for whatever you did - 1.7.10 is picking up in players and we're starting to get some revenue from it (had one purchase today, I'm being told xquic is working on making more packages). We currently have Reddit Ads working. These were paid for by me, $180 in total, charged to my credit card. Please make new players feel welcome and patiently answer player's questions. General Announcements / Host a server for SFT without needing any knowledge! So, as some of you may probably know already, we are looking to branch to other game servers and not rely exclusively on Minecraft. This was hard to do until now, since hosting a server required extensive knowledge and there were only a handful of SFT contributors able to help and with the knowledge needed, most of the times, they were already burried in other work / maintaining MC servers. I saw that, and I decided to do something about it. I rented a dedicated server (for which I will be paying from my own pocket) and bought a software license for TCAdmin. The cost is roughly $50 / mo in general. Are you interested in hosting a game server for SFT? If yes, play with the demo, try to understand how it works, and then get in touch with me about creating your own account and adding a server to your account. 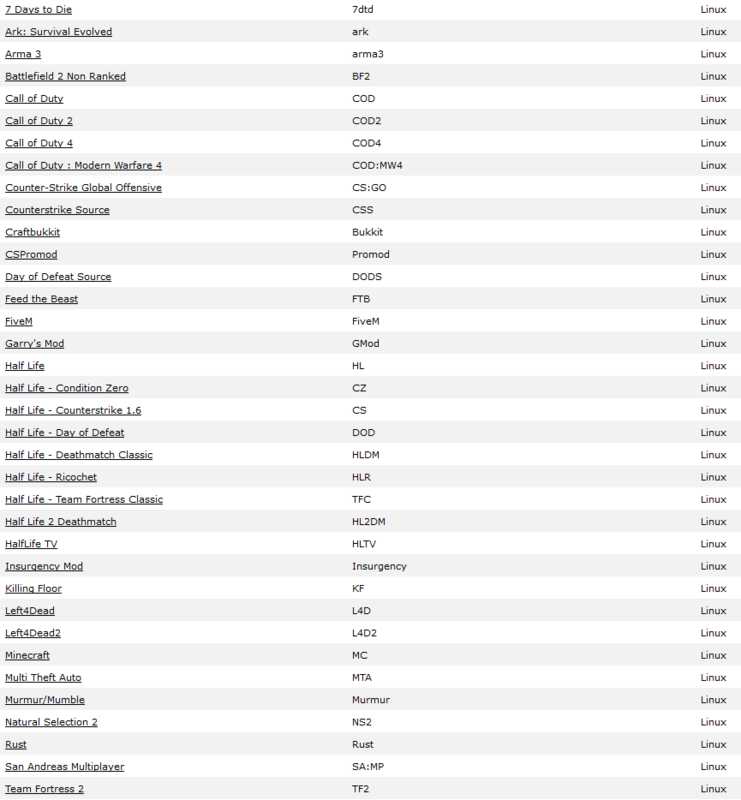 NOTE: All the servers you will host in this tool, will be for SFT. In the future we may sell servers for personal use, but we are not there yet. What games can we host using this tool? NOTE: We will not be granting TS3/Ventrillo servers, please ignore those. Why should I host a server for SFT? What are the do's and donts of using this system? - Do not run a plain vanilla server. If all that you will do is start a CSGO server (just an example) and leave it as it is, this is not for you. You need to make the server unique in some way. Find an unique map rotation, tweak the server config to what you think other players will like it. If you're just going to start a server and run it as it is without modifying any config, you shouldn't bother. Nobody will play on it. - Do not do anything that is illegal on our platform. - Do ask for an account after you play with the demo and if you have an idea about a server you could be hosting. I'd rather have 100 people ask for accounts and have ONE good server resulting from that for SFT, rather than have 3 people apply and no good server. - This server and this software are my personal property and I own all the rights for them. This is a service that I own and I am allowing SFT to use for free, rather than a SFT service. - I am willing to pay for 3 months for this. If after three months there isn't even one slightly popular server resulting from this, I will likely do one of two things: Stop paying for the bills and close the system or start selling game servers for money to be able to pay for the service and even make a profit. So, I've been talking with @xQuicScopex✪ and we are unsure what to do with PE. On one hand, it's almost completely abandoned, on the other hand we would like to hear what you think. Its main problem is the lack of players. Yes, it wasn't updated so fast in the past due to inactive owners, but now that is no longer a problem. Only the lack of players is one. Please tell us what you think we should do with the PE server and why! - Ask you for feedback for Survival and SFT in general. - Get new players on Survival (again, if anyone has any idea how to achieve that eg: where to advertise free or for little money, I'm open to ideas. - Do you like how I am running Survival lately? If not, what would you change / how would you run it? - What should we focus on in the future, more than we currently do? - What would you like more of and what would you like less of? NOTE: I am looking for feedback exclusively from active players. If you haven't even played in the last month and leave me feedback complaining about stuff, prepare to be called dense. I know there are some people that just like to give negative feedback due to a negative experience they've had but then never give Survival another chance so they just become bitter and sad and hang around just for drama. I do not want feedback from such people. Meaning you will gain mcMMO experience and level up twice as fast! Bad news, we are discontinuing the SFT Eggs plugin (/hatcher) due to developer going inactive and the plugin being really buggy (since 1.13). You have 48h to hatch any existing eggs, afterwards they will be worthless and non redeemable. The forums were upgraded to the latest public version. This means some (or most) of the modifications we had installed may not work and there may likely be other bugs (for example notifications are a bit wonky at the moment). 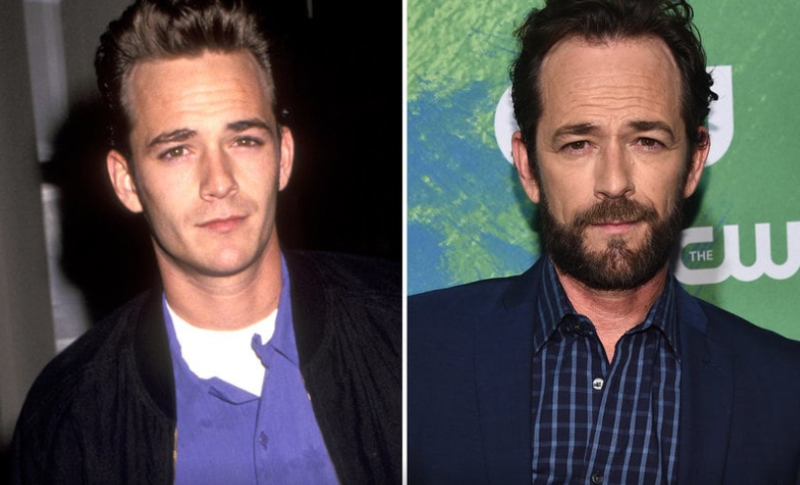 Luke Perry is dead at the age of 52, days after suffering a massive stroke at his home in Los Angeles, according to TMZ. Luke passed away Monday morning at St. Joseph's Hospital in Burbank. 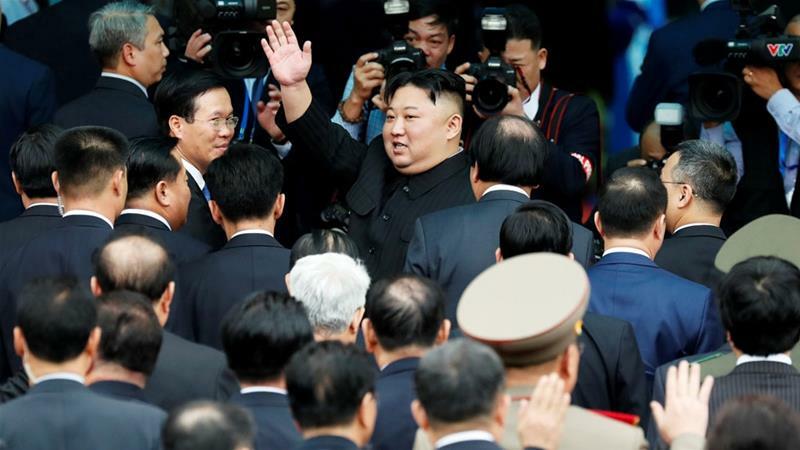 "He was surrounded by his children Jack and Sophie, fiancé Wendy Madison Bauer, ex-wife Minnie Sharp, mother Ann Bennett, step-father Steve Bennett, brother Tom Perry, sister Amy Coder, and other close family and friends," his rep said in a statement. Paramedics responded to the home of the "Beverly Hills, 90210" star on Wednesday, February 27 and transported him to a nearby hospital. Perry had been busy at work on "Riverdale," on which he plays the father to Archie Andrews (KJ Apa). According to TMZ, he had recently filmed scenes for the CW show on the Warner Bros. lot in Los Angeles. General Announcements / SFT is now a Canadian Citizen, eh? SFT is now a Canadian citizen! All our servers are now exclusively in Canada and we are proud to call Canada our virtual home. It's aboot damn time this happened! Due to some files getting accidentally deleted (no, not by me), Pixelmon is currently unavailable. We are trying to see what can be done, as we do not have any backups of that currently (dpa had some backups, but long story). At this point, I do not know if we have the needed files to continue, or if @Dpa1991 wants to go through all the work of setting up Solder again, so yeah, we will let you know what we can do soon. Our website was moved. It is now located in Canada (for both legal reasons and cost cutting reasons). Please let us know if you notice anything wrong. - All my hopes and dreams? For a limited time only, every $20 / mo patreon (Tier 3) will get a world on Survival (small 500 border). This world will be accesible by everyone (for eula purposes), but you will be able to download the world on request (obviously, some ahead notice is needed since everything is done manually by Towelie). If you stop being a $20 / mo patreon, we reserve to delete your world. NOTE: We will not keep any backups of your world so we cannot guarantee its integrity in case of server faults / hacking / etc (but we do have a RAID1 setup, so the chance of that happening is low). Survival's anticheat systems were updated to better protect our players from cheaters and xrayers. Obviously I cannot get into exactly what was changed because we don't want you to know how we catch xrayers. You shouldn't notice any negative side-effects, but if you do, please reply in this topic. Survival was upgraded to use the new mcMMO Overhaul. You should notice a lot of changes in mcMMO, and a lot of bugfixes as well. - Switched payment gateway from PayPal Classic to PayPal Express Checkout. This should allow credit card payments for folks in US / some countries, and should be more consistent in delivering the items. General Announcements / Happy Valentine's Day! Posted on my spigot plugins. 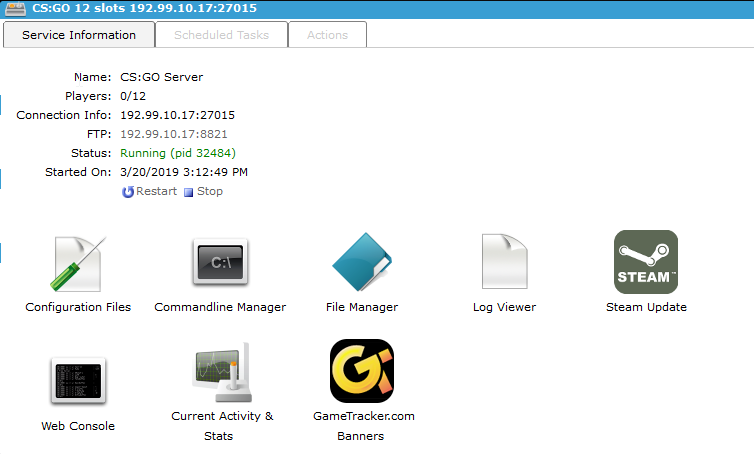 Will also feature the server in update logs. - The person that brings the most people over to our server (either by telling your friends/schoolmates about our server, or by posting on social media or any other (LEGAL / allowed) way wins. Prizes described below. - The winner: Either $50 on survival premium shop or $50 on PSN/XBL/Switch . The prizes will be paid for by me, and not by SFT. You are allowed to enter until February 12th. Afterwards, we will draw the winner using a random number draw site, and the winner will be notified. NOTE: Do not post unless you are entering the contest. If you have questions about this contest, post on discord / ask in #support and so on. Any posts that are not strictly a contest entry will be removed and you may be warned. To play, just search for "SFT" in the server list. General Announcements / Super Fun Time is awesome! 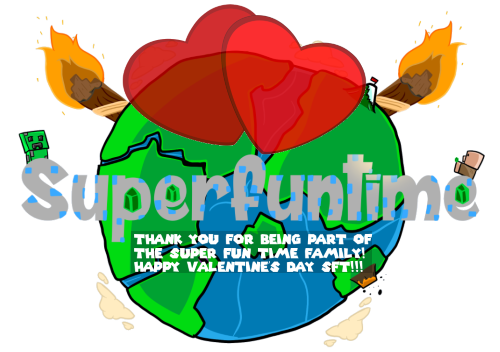 Super Fun Time is just awesome! Creative was fully reset and fully updated. I have also implemented backups, so in the future world corruption doesn't mean instant reset. I have taken over creative for only Back-End stuff with @Super_Boox as the HoS who will manage staff / in-game stuff. Currently we are making it work without plots as the plots plugin is completely broken and prevents the server from starting. The moment that gets fixed, I intend on adding a plot world. SteveCo Crate #58 is just out! This was inspided by RDR2. Currently the only way it is obtainable is as a random drop (very low chance), or purchasing it from the shop (ofc, you can purchase a drop of the crate for the server, not just for you due to EULA). Ask me ANYTHING about SFT and I'll try to respond to everyone. I promise that nothing will happen to you, so feel free to ask anything. But don't be toxic please. I don't bite, honestly. I mean I may bite your head off if you piss me off, but definitely not for asking a question. We now have a temp voice room system for discord. What does that mean for you? You can create a temporary room on the Super Fun Time discord server where you can invite your friends, and even lock the room so only people you invite have access to the room. To get started, type $room in #bot-spam or click on the "Click for temp room" room inside Temp Voice Rooms category (right under normal voice rooms). NOTE: Some very high ranked staff (eg Owners) can still join locked rooms. However, please let me know if you see anyone abuse that and I will make sure they don't. We need a PHP Developer to assist @xQuicScopex✪ in managing and running the PE server. The b-Team server was EOL'd (END OF LIFE). I have stopped the b-Team server and deleted the server files (we still have a backup tho), and have worked on deleting the b-team boards, forum ranks and any mention of b-team anywhere. Currently, the only thing that remains are the discord ranks for b-team - as we are trying to migrade the staff team to other servers. If you notice any references to b-team anywhere outside discord, please create a ticket in #support as they will need to be removed. I'm genuinely sorry that b-Team didn't work out any more, after years of it being our 3rd or even 2nd server in popularity, but all things have to go at one point, and b-Team with its very outdated MC version (1.6.4) had to go sooner rather than later because all kinds of issues and complications arose. Join me in celebrating what b-Team was for SFT. Why? Because we want PewDiePie to remain #1 on youtube, not some stupid record label. Also, because we want PewDiePie to win in the battle with mainstream media. NOTE: This message was not paid for or sponsored, and is Towelie's personal initiative. I'd like you to suggest ways in which our Survival server could be improved. Anything you can think of really (new plugin ideas, rule modifications, etc). - Don't suggest something that has been previously suggested and denied unless it happened more than 6 months ago (eg you had a suggestion and I've denied it at least 6mo ago. @SashaLarie @TheStarNomad✯ - As my RH, please help me keep this topic clean. Ideally I want any suggestions I reply to saying "yes" or anything similar to be pinned in the first post, so that we have an easy way to keep track. I like to write such a post at least once a year. - Survival continues to maintain steady (albeit at a low number of players). I have tasked @TheStarNomad✯ with finding cool stuff (donator perks / fun plugins / plugins that add core gameplay) and generally, I'd say that while we aren't peachy, we are floating around. When the summer comes, I have no doubt, we will see a big bump of players. - Staff crysis averted. We had a staff crysis a few months ago, I am glad to say that has improved and is still improving. - After discussing with @BluetigerESW and @xQuicScopex✪ (mainly @xQuicScopex✪ ), we have decided that we should not decomission PE quite yet. While it's currently as good as dead, that's because of an update that crippled all our plugins, and we currently lack the resources to fix everything. If you are extremely good at PHP and want to help, contact @xQuicScopex✪ . Please note that the discord integration will be broken by the update, and we do not know if we will be able to fix it. - While it's not very popular, there are no plans to decomission it due to the very low resources it consumes. - As you may have seen, Discord is managed by Loasty and Nubbun. They are doing a great job running the server, so you can expect to see discord events from now on. Perhaps even the creation of a Discord EventHost team who's sole responsibility will be to host events. - The overall focus is currently self preservation. We are doing everything we can to reduce costs and make SFT viable for long term (we are almost there). So you can rest assured, as long as there are players on our servers / visitors on our website / members on our discord, SFT will be here. You guys are awesome and the reason we are still alive. General Announcements / Happy Thanksgiving! Happy Thanksgiving to all the Americans! Sorry for posting this a bit later, but I am not an american and therefor do not celebrate Thanksgiving Day. I am thankful for having @darknuju as my lead dev - he helps me quite a lot and running Survival wouldn't be possible without him. I'm thankful for having @Dpa1991 as a friend and a co-owner at the same time, and while our relationship has its ups and downs like any friendship has, we've managed to still be friends after 7 years (while also being co-owners). I'm thankful for having all of you awesome people and this wonderful community. Starting November 23rd and until the end of November 24th, the Survival premium shop is running a black friday promotion. NOTE: I've gone ahead and combed through the premium shop, removing any broken perms, to make this black friday as smooth as possible. I have also added a "Mega Disguises" package which basically contains all disguises (present and future) except player disguises and block disguises. This is currently $30 but will be discounted 55% when the black friday promotion starts, so keep an eye! Good news! 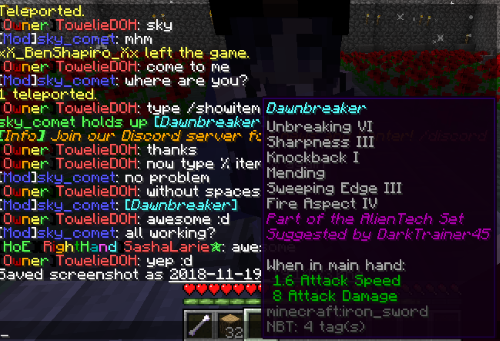 You can now show off your items to players on the server. 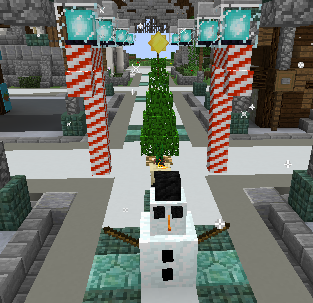 General Announcements / [Survival] Furniture and Holiday Decorations are back! Good news! For those of you that remember - The furniture plugin is back. Please note that you need to purchase Furniture Perms from the premium shop to use the full features of this plugin. However, you can obtain holiday decorations (xmas tree, candles, candy canes and so on) for FREE from the premium shop.